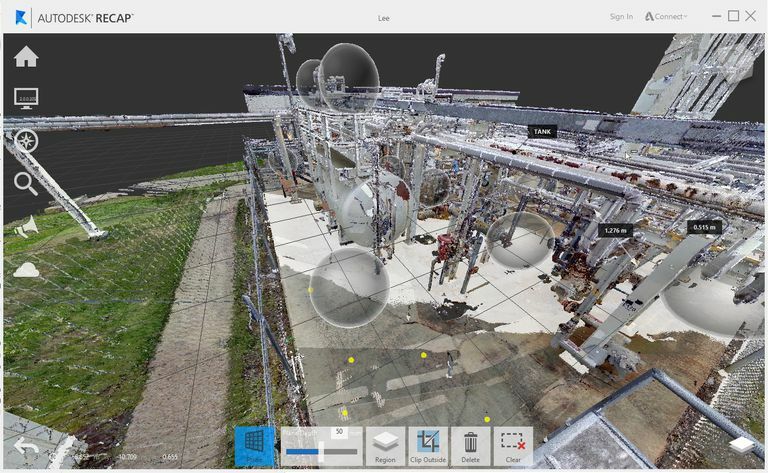 Autodesk ReCap stands for “Reality Capture” and it is a program for working with native point clouds from laser scans. Laser scanning is a method for using a projected laser in order to create virtual representations of any existing space or object using a collection of “points” that have a distance and elevation from the laser itself. Each scan creates thousands of points (i.e. a point cloud) and those dots can be viewed as a simplified model of your scanned items. Think of it as sonar, or echolocation, but using light to outline physical objects instead of sounds. The technology has been around for a while but it's advancing at a tremendous rate. Concepts like mobile mapping (lasers mounted on vehicles) and the great strides being made in the accuracy of both aerial and terrestrial scanning equipment and techniques have brought this technology into mainstream use. It’s not uncommon for a scan of a single area, say a city block or an airport terminal, to contain billions of points of data. The files are immense and have always needed specialized software in order to view, manipulate, and edit the clouds. Autodesk's ReCap software is a simple-to-use package that allows you to directly open point cloud files and, with the help of a few customizable import settings, filter data you don’t need and work with your files in a more manageable size. Moreover, since the points are generated using a native Autodesk product, the points can be extracted or imported into all other Autodesk products. You can use the ReCap point file to clean up a scan of an existing building, then import it into Revit to begin an accurate 3D BIM design where you can be certain there are no conflicts with existing elements. Likewise, you can import a ReCap cleaned up cloud into Civil 3D and use the point cloud data to generate surfaces, etc. for your existing site conditions at a level of accuracy you’ve never seen before and in just a matter of minutes. The technology lends itself readily to mechanical and manufacturing industries as well. You can do a reality capture of any existing part, like a pipe collar that you need to connect to but have no design parameters for. With this technology, you can overlay your new part to match size, bolt-hole placement, etc. with exacting tolerances, all in a few clicks. The ReCap software is simple to use. Choose a point file to import and it is added to a new ReCap project. The project structure lets you break your scanning down into manageable pieces and work only with the data you need at any given point in time. So, if you had a full scan of a city block, you could break the data down into particular days of scanning data or even by object types, such as buildings in one set and trees in another. After you’ve selected the files to import to your project, apply filters to the data. Filters allow you to set outer limits to your data, so if you only want a specific area of the scan brought in, just choose a boundary that ends close to it and everything outside the box is not imported. ReCap will also allow you to apply “noise filters” that let you eliminate stray shots that may have been picked up by the scan. After your data is in ReCap, you can begin selections of what you want to clean up, view, modify, etc. using simple selection tools such as windowing, color-based selection, and even planar selection. The latter tool is useful particularly when you're working with structures like buildings and roads. By simply clicking the Planar Selection icon then choosing a few points on the screen, the software will select all the points on that plane (i.e. a wall) and filter out all others so you can work with only the specific data you want. 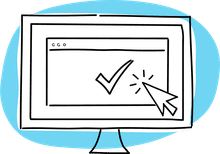 If your firm has any of the Autodesk Design Suites, ReCap is a standard program for all of them: Building, Infrastructure, Product — it doesn’t matter. Chances are, you already have ReCap installed on your system.